There was a time when I used to get psyched for the Home Run Derby. But there was also a time when I used to get psyched for Adam Sandler movies. You get a little older, you revaluate a few things in your life, among them what you waste your time watching. And baseball’s gimmicky exhibition of power held the night before the All-Star Game—what used to be must-see TV for yours truly and millions of other baseball fans—is among the biggest. Because the Home Run Derby has low key been headed toward irrelevancy for years and even though last year’s updated format gave the competition a shot in the arm, the Derby is tired, played out, and way past its prime. And it’s the players’ fault. But can you really blame them? The Home Run Derby used to be a marquee event. Hell, it was almost always more dramatic than the All-Star Game itself. Ken Griffey, Jr., Mark McGwire, Sammy Sosa, Jeff Bagwell, Chipper Jones, and Jim Thome would participate annually. I don’t care that half of those guys were (allegedly) hoped up on Jose Canseco levels of juice, at least they were committed and willing to swing out of their spikes to put on a show. The only thing impressive about this year’s Home Run Derby is the list of players NOT participating. But with steroids no longer allowed, amphetamines banned, and the stints on the D.L. piling higher than the stacks of cash today’s stars earn, why would the game’s best sluggers put themselves at risk for injury or screwing up their swing? Its become an annual rite of summer watching superstars bow out of the Derby, forcing MLB to put together a forgettable mix of names nobody really cares to watch with (maybe, just maybe) one thumper. This year fans have been blessed with Mark Trumbo, Todd Frazier, Adam Duvall, Robinson Cano, Giancarlo Stanton, Wil Myers, Carlos Gonzalez, and Corey Seager as the Derby participants. The only thing impressive about this year’s Home Run Derby is the list of players NOT participating: Bryce Harper, Mike Trout, David Ortiz, Kris Bryant, Anthony Rizzo, Nolan Arenado, Manny Machado, and Yoenis Cespedes, a two-time champion. 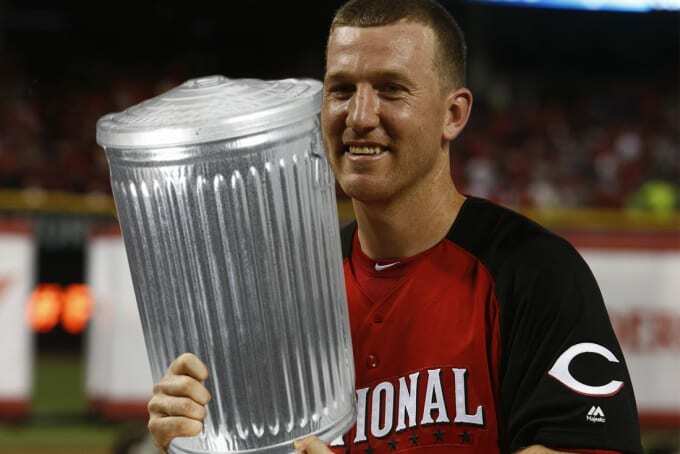 At least MLB came to its senses and invited Todd Frazier, the defending champ, and Giancarlo Stanton, despite the two not being All-Stars. After a slow start, Stanton has returned to his usual ways of launching baseballs into orbit and no one punishes the ball the way he does. But he’s the only name anyone really wants to see tonight. Imagine how exciting it would be if Stanton battled Harper for the Home Run Derby crown. That would be must-see. The only problem is Harper has participated in precisely one Derby in his five seasons in the bigs. He says he’ll return to it in 2017 when Nationals Park hosts the All-Star Game. Thanks. Can’t wait. Even without all the star power, MLB had the chance to spice it up and throw a few curveballs. Want to give the Derby the desperate shot it needs? Why not invite Ichiro? 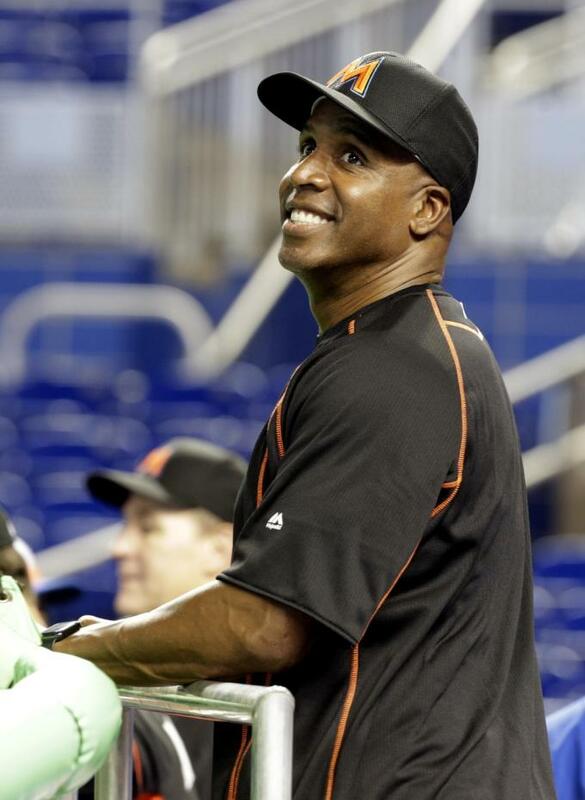 Marlins hitting coach Barry Bonds said last week that Ichiro—who, as a friendly reminder, is not the Hit King—would win the Derby. Why isn’t he there? Hell, why isn’t Bonds, at 51 years old, there? He reportedly beat Stanton and teammate Christian Yelich in a spring training home run derby this past March. Did Bartolo Colon’s invite get lost in the mail? The All-Star Mets pitcher—aka The Gif That Keeps on Giving—hit his only career home run at Petco Park earlier this season. Let him get some hacks in since a Colon at-bat is one of two reasons why the N.L. should hold off on adopting the DH. The other is Madison Bumgarner. The Giants pitcher is one of the best hitting hurlers in the game and has jacked 11 home runs over the last three seasons, blasting dingers at a rate comparable to Trout. He’s big, he’s burly, he’s a throwback, and he said he wanted to take on the game’s best sluggers in the Derby. But MLBPA ridiculously 86ed the idea earlier this month because “The Players Union doesn&apos;t want a pitcher taking a player&apos;s spot,” Giants manager Bruce Bochy said. So God bless if you’re going to tune into ESPN for three hours tonight and listen to Chris Berman scream “Back, back, back” until he’s hoarse. The Home Run Derby could be so much more interesting, but the players, their union, and MLB are all fine with it wallowing in mediocrity. So why put in the time if they’re barely putting in the effort?